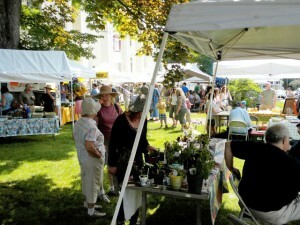 The Franklin Farmers’ Market at Chapel Hall starts its 12th season on Sunday, May 27th. You can find us at 25 Institute Street, Franklin NY, just off Route 357 in Delaware County – home of the Franklin Stage Company. This year’s poster is by Joan Dworkin, and will be available for sale at the market. The Franklin Farmers’ Market at Chapel Hall starts its 11th season this Sunday, May 28th. You can find us at 25 Institute Street, Franklin NY, just off Route 357 in Delaware County – home of the Franklin Stage Company. This year’s poster is by Charles Bremer, and will be available for sale at the market. The Franklin Farmers’ Market at Chapel Hall starts its 9th season this Sunday, May 24th. You can find us at 25 Institute Street, Franklin NY, just off Route 357 in Delaware County – home of the Franklin Stage Company. This year’s poster is by Rhonda Harrow, and will be available for sale at the market. The Franklin Farmers’ Market at Chapel Hall starts its 8th season this Sunday, May 25th. You can find us at 25 Institute Street, Franklin NY, just off Route 357 in Delaware County – home of the Franklin Stage Company. This year’s poster is by Judith Lamb, and will be available for sale at the market. Each year the Franklin Farmers’ Market invites a local artist to create a poster. Contact us if you’d like to buy a poster. Purchase posters or 4″x 6″ postcards at the Farmers’ Market on Sundays, Memorial Day through Columbus day.